Is your government signing away your future rights to the world's natural resources? I t's official. Bill Clinton will not be coming to India to discuss the nuclear issue, or the Indo-Pak issue. Environment and energy will top his list of priorities. This may come as a surprise to Indian politicos, who consider this a 'soft agenda'. But Clinton will be addressing an issue that is currently the biggest economic threat to his country. The us has its back against the wall at international negotiations to control climate change. There are only two options: either reduce domestic consumption of fossil fuels drastically at huge costs or convince developing countries such as India to provide them with the cheaper option of 'emissions trading'. Because emissions trading with developing countries like India will cost the us almost 95 per cent less than the domestic option, Clinton will have good reason to try and convince Indians that emissions trading is the best thing that could happen to them ( see graph: Cheap trick). If developing countries agree, the us couldn't have it better. us companies get to sell us their technology, the us gets off the hook at the climate negotiations, and gets the right to carry on polluting at home (see page 34 ). But what happens to global warming, and to developing countries once all the cheap options are gone, and the pressure is on them to reduce emissions of greenhouse gases (ghg )? That the us views climate change as a very serious threat to its economy was always apparent. The us state department deals with the issue, and no less than 200 people laboured over the country's strategies for the Kyoto negotiations in 1997. Contrast this with the Indian situation, where climate change is an even bigger threat. There is strong evidence now to suggest that there will be increased incidents of drought and floods in the country due to global warming. Sea level rise in Bangladesh and the Maldives will result in a huge influx of refugees into India. Yet, we have only one officer of the Indian government spending a third of his time preparing the country's strategy at the climate talks. The Indian cabinet has never even discussed global warming. What the world is seeing today is, in fact, a process of 'ecological globalisation' accompanying economic globalisation. Just as the developing countries have to be careful of the rules to which they commit in international economic negotiations, they have to be careful of commitments they make in global environmental negotiations. This is particularly so when it comes to the sharing of 'global commons' such as the oceans and the atmosphere. Taking environmental negotiations lightly now could prove disastrous for our future generations. The Centre for Science and Environment's ( cse 's) Global Environmental Negotiations ( gen ) reports are an effort to record and analyse how developing countries have fared so far with ecological globalisation. They also seek to provide the civil society, often removed from the scene of these international negotiations, the information they need to intervene to ensure that the rules that are set are democratic and just to both rich and poor nations. The first report, Green Politics , analyses three post-Rio conventions, four ongoing negotiations, and two environmental institutions. - What we see emerging in the name of global environmental negotiations is actually an extremely lopsided governance of the world's resources, controlled and manipulated by Northern countries. Only Northern concerns are taken on board, whether it is the hole in the ozone layer which was found to cause cancer particularly to white skin, or the problem of persistent organic pollutants (pop s) travelling to the Arctic. While the treaties dealing with Northern problems, namely the Montreal Protocol and the negotiations on pop s have been put on track in record time, treaties on biological diversity and desertification, which deal with problems in developing countries, have stalled. Both Northern governments and non-governmental organisations (ngo s) have shown a marked lack of interest in them. Even with global warming, there is more hype on part of the North than a desire to do something concrete.This is because it is clear that developing countries will suffer great damage due to climate change, and there is strong doubt that industrialised countries will be affected very much at all. - No political leader has any interest to ensure that the emerging global market or the emerging global ecological policy is managed in the best interest of the maximum number of people and on the basis of the principles of 'good governance' - equality, justice and democracy. Instead, when leaders of nation states meet to develop rules and regulations for ecological globalisation, they take positions to ensure least possible costs to their individual national economies. Environmental diplomacy has turned into petty business transactions, not the establishment of fair and just global governance systems. - In a highly divided world, getting the nations together to deal with their environmental challenges means rich nations will have to provide good leadership, which generates confidence not just within their own populations but also in the populations of poor nations. In this context, the role of rich countries will be of immense importance in the years to come - particularly the role of the us , the richest of the rich. But the us Senate has not yet ratified the Convention to Combat Desertification, the Convention on Biological Diversity, the un Conference on the Law of the Sea and the Basel Convention. The European Union and other industrialised countries invariably tend to hide behind us intransigence. - Southern political leaders have also shown a miserable lack of vision and failure to recognise that these environmental treaties are about the sustainable sharing of the Earth's ecological space - global public goods like oceans and atmosphere - on which national economies depend. What matters most is not aid or technology transfer but rights to the equitable sharing of the Earth's ecological commons. These rights will be the precondition to generate long-term sustainability through appropriate changes in the world's economic and technological systems. Unfortunately, destitute economies also produce political leaders with the mind-set of the destitute who are willing to discount their future for a few dollars today, while rich economies produce political leaders who are nothing but handmaidens of their business interests. - Current international environmental treaties provide for action in increments. In other words, each treaty is evolving over the years. This approach has been highly praised by a number of experts on global environmental negotiations. But incremental action poses a serious challenge for diplomats from the developing world. At no stage of a treaty do they have a full and final picture of its implications and impacts. As industrialised countries usually take the lead in implementing an environmental treaty, the action framework is usually set in a way that is acceptable to them. Once the framework is set, developing countries are expected to join the effort, though the same framework may not be appropriate for them. Southern countries, therefore, have to intervene from the very start of the negotiations to ensure that the action framework will be acceptable to them later on. Unfortunately, given the state of distrust among nations, the efforts of developing countries to participate in setting of rules is often seen as obstructionist. - Almost all environmental treaties use trade sanctions as a tool for bringing the environmentally-deviant states to book. 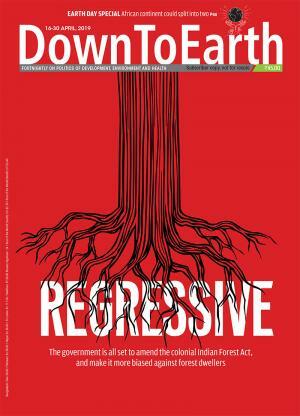 Western environmentalists have had no hesitation in pushing for the use of both aid and trade sanctions as a compliance mechanism even outside the ambit of the environmental treaties. cse has pointed out since the early 1990s that there are fundamental flaws in using aid or trade as tools for controlling errant environmental behaviour even in multilateral treaties. These are extremely unjust tools because they can only be used by more the powerful nations against the less powerful ones. Imagine the impact of Maldives or Bangladesh imposing trade sanctions against the us for not meeting its Kyoto Protocol targets! An international compliance tool has to be such that it is equally available to all parties - rich or poor, powerful or powerless. Otherwise, the world is only accepting the right of powerful nations to be moral bullies whenever they choose to be so. It is disheartening that Northern ngo s also support the use of such inequitous and one-sided tools. Already, there is talk that there is no need for a compliance system for the Kyoto Protocol because all countries will want to follow the rules. Then why is there need for compliance measures under the other conventions where poor countries are likely to default? - Finally, Southern countries cannot depend on Northern ngo s to push their interests at these environmental negotiations. This is evident from the response of Northern groups to Southern demands for equity in the climate convention, which have been met with nothing but stony silence. Though Western civil society and public concern have largely driven the global green agenda, governments have taken over the business in the post-Rio dynamics. The civil society, which led governments to take action in Rio, has since then merely followed the inaction of the governments. This "governmentalisation" of the environmental agenda is proving to be disastrous as it has become a cause without a concern. Hardly any treaty signed in Rio or thereafter has been implemented with any seriousness. Agenda 21 - Rio's plan of action - has almost become a dead document. Any discussion, particularly one with any trace of idealism, is quickly suppressed as inimical to the all-embracing quagmire of bureaucratic and economic pragmatism. To change this state of affairs, the civil society - both of the North and of the South - has to show courage and develop the ability to keep governments accountable and responsive.